The Health Service Executive paid over €540m to GP practices and co-ops last year in fees and allowances, for treating medical card patients and providing services for other State health schemes. On average around 2,900 GPs or their practi ces were paid over €186,000 each, according to figures released to RTÉ News by the HSE under the Freedom of Information Act. The figures are not salaries but are gross payments to doctors, out of which they have to pay practice expenses, including staff. These figures exclude any private income a GP may have earned last year from treating patients, as well as medico-legal, insurance and other work. Over 40 GP practices and co-ops got over €500,000 each in gross payments. The biggest paid GP co-op was Care-Doc in Carlow/Kilkenny, which earned €3.3m. 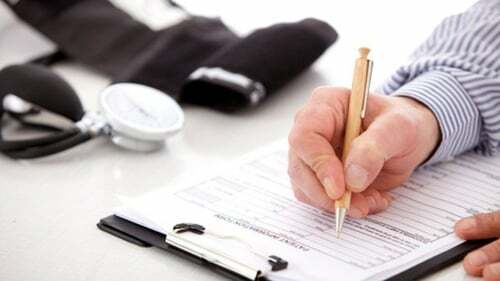 The practices listed may include other doctors, nurses and administrative staff who have to be paid from the gross figures; and some have substantial medical card lists. Minister for Health Simon Harris has said fees are provided to doctors to provide services to patients in communities. Mr Harris said fees were agreed through negotiations with GPs and that the Government was in the process of negotiating a new GP contract. He said he wanted to see further resources put into general practice and that it was important to shift services out of the hospital and into the community and that came at a price. He said money spent in general practice was very well spent. The highest paid named doctor was Dr Andy Jordan, whose Dublin South West practice earned over €952,000 last year. Dr Jordan is also chairman of the National Association of GPs. The earnings vary considerably and many GPs or their practices earned substantially less than the average. GPs may be paid grants for practice expenses, study, and annual leave. The National Association of General Practitioners said funding into general practice does not represent the take-home pay of GPs. NAGP Chief Executive Chris Goodey said: "The release of these figures in isolation provides a misleading impression that this is what GPs earn. "GPs receive, on average, €9 per month for each medical card patient irrespective of whether they attend once or ten times over that month. The reality is that these payments do not cover the cost of that care. "The published figures contribute to business costs, the largest of which is staff costs. These GPs employ other GPs, nurses and administrative staff to deliver a high level of service to their patients". Dr O'Carroll, who receives one of the highest levels of GMS payments, said in a statement that just looking at payments in this way fails to take into account the service which is being delivered. He said Mountjoy Street practice employs nine GPs, along with himself, plus support staff and serves more than 2,000 patients, 95% of whom are medical card holders. The GP committee of the Irish Medical Organisation said the figures provided by the HSE were misleading and implied that GPs received much more income that was actually the case. Chairman Dr Padraig McGarry said: "The figures are gross figures which take no account of the substantial costs incurred by GPs in providing services including cost of premises, staff, technology, insurance and every other business cost for which they are liable." He said that GP services remained under-resourced compared to other European countries.